Indian design studio Sylvn Studio creates cardboard lamps that are as economical and eco-friendly as they are beautiful. 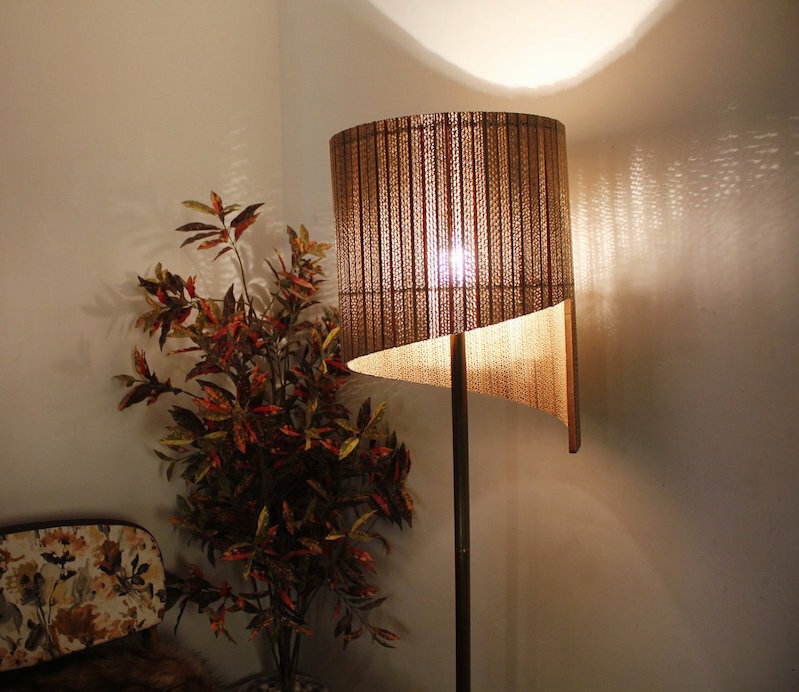 Sylvn Studio is India's only design label specialized in handcrafted décor products made of recycled corrugated cardboard. Sylvn Studio believes in combining 'love for art and love for earth' by designing very artistic creation with corrugated cardboard. The Brand has catered to various sectors like Hospitality, Corporate, High-end villas, Residences, Visual Merchandising, Events etc and have produced a range of 150 lamps, mirrors, furniture, wall mural, false ceiling, screens and other accessories too. The artist has created some beautiful piece of art for her clients like Raymond, McDonald's, Massive Restaurants Private Limited, 1 Above…to name a few. Our products are made from corrugated cardboard, burlap, and recycled materials. We combine fine craftsmanship and luxury with utility and durability. A lot of heart goes into developing each of our products, to add value to otherwise discarded materials to make them stand out individually. Lest the numbers cause sticker shock, prices are in rupees, and 1000 rupees is currently a little over $15. They have other innovative designs that could probably be made by DIYers, so check it out!